After a month or so of driving our battered Honda without a hitch, around a week before we were due to set off, the car broke down. 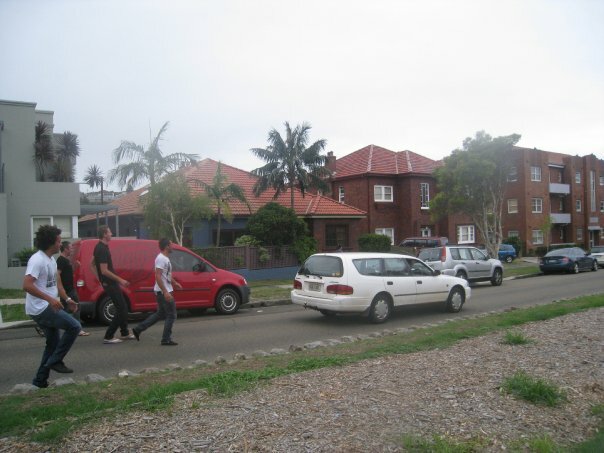 Our plans were scuppered but we were determined to head off and so instead, we booked a flight from Sydney to Byron Bay. Tent in tow, we waved our friends goodbye and set off for the first stop on our one month tour. 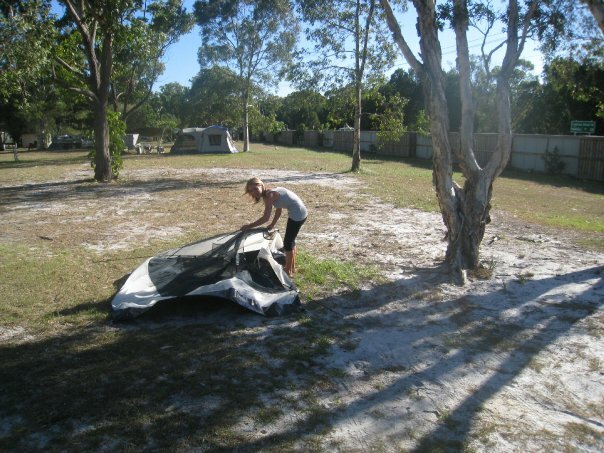 Although January and February are typically ‘peak season’ for backpackers travelling up from Sydney, the campsite was surprisingly quiet. I suppose the forty minute walk into the centre of town deters a lot of people but for us, this peaceful location was perfect. Each morning we would eat breakfast at the campsite, and then set off for the walk into town. Byron has a bit of a hippy, chilled out vibe which I absolutely loved. I’d scour the beachside shops (for as long as Rich would allow) and then we’d head to the beach to sunbathe, read and cool off in the ocean. We’d been warned that we wouldn’t be able to swim in the sea during the summer once we reached north Queensland – due to the dubiously named ‘Stinger Season’ – but I had thought we were safe in Byron. Then one afternoon I headed out for a swim and as I paused to look around for Rich, I felt something brush past my leg. When I looked down, a huge jellyfish was slowly wrapping its tendrils around my thigh. I didn’t know whether to rip it off or just scream but instead I froze. It left its nasty sting, and then swam off as I made a dash for the beach. Jellyfish sting aside, the rest of the week was perfect. Three days in, we were ready to shake up the lazy sunbathing routine and booked ourselves on to a day’s surf camp with Kool Katz Surf School. We spent an hour on the beach practising our surfer poses and then it was time to head into the water to test them out for real. Rich was a natural but I needed a little help from the instructors to get up, but once I did there was no stopping me. We battled the waves for the rest of the day and then it was time to dress up and join in with the Australia Day celebrations. Whilst in Byron, we needed to think about our plan for the rest of the East Coast. With the car option no longer viable, we couldn’t afford to fly to each location, so instead we settled on booking a Greyhound pass that would take us all the way to Cairns, stopping wherever and whenever we wanted along the way. We also booked an excursion package deal that would take us; for a four wheel drive tour on Fraser Island, sailing in the Whitsundays and skydiving in Mission Beach. Plus, stopovers in Airlie Beach and Hervey Bay in between. 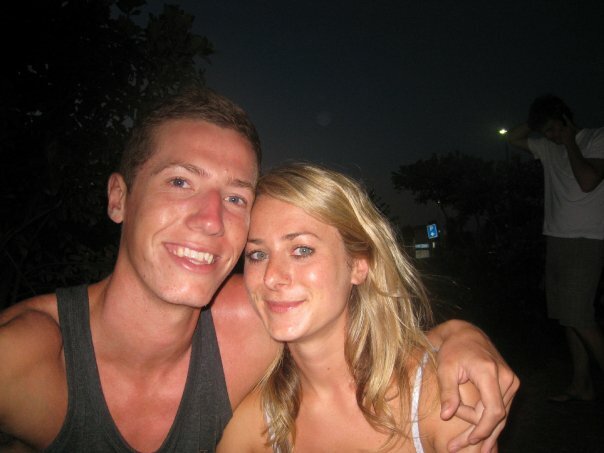 This entry was posted in Australia, Travel Adventures and tagged australia, backpacking, Byron Bay, dingos, Fraser Island, Maheno Shipwreck, travel. 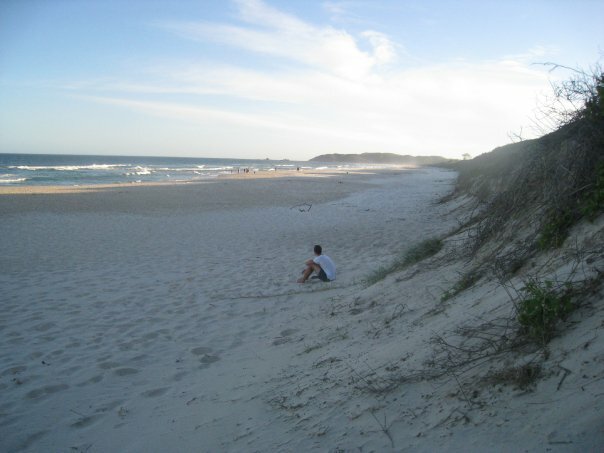 Byron Bay sounds like Heaven & you have the photo`s to prove it. What fabulous memories you must have. Yes it was amazing, wish I could go back! I can’t believe I didn’t know you were stung by a jelly fish, that must have been so scary! I would have screamed my head off!